Support your marketing and branding goals with custom-designed corporate signage from Hightech Signs in Austin, TX. Business signs not only advertise a company name and location, but they can grab the attention of new customers. Corporate signage is a great way for existing and potential new customers to relate to the businesses and services your business offers. This information can be displayed in signs and graphics that depict a brand name, business type, slogan, map, or navigational guide to lead traffic throughout your facility. When done like the way we do them at Hightech Signs, corporate signs can speak volumes about a business, making it look professional and successful. Also, it can help the way can improve the functionality of a business office, making it easier to navigate throughout your building. Consult with us today to find out what corporate signage will work best for you. A sign needs to be sized properly for where you plan to have it installed. To ensure it is visible to visitors, you must figure out the viewing distance. A good rule of thumb is that each letter on a sign should be 1 inch in height for about every 10 feet of distance. The goal is to place sign that provides maximum exposure to its targeted public. Obviously, the visibility in an office lobby is much different than outdoor sign that sits across from a highway. Our team can help create a commercial sign that meets your needs. A sign needs to be organized in a way that is easy to read and understand. Words and phrases that are important to a business’s message or slogan should be emphasized in a special way. This can be done by bolding, italicizing, or increasing the type size of specific letters and words or adding colors. Layout and spacing of letters also is important. A sign should not only grab attention—it should clearly convey your message. The best sign is one that stops people in their tracks. Incorporating unique design elements, such as color contrast, motion, and changeable components, like lettering, can help commercial signage standout in its landscape. Finally, what good is a sign if no one can read it? Legibility is king when it comes to the effectiveness of a sign. When choosing a typestyle, you need to make sure it conveys your message and style of your business but also doesn’t prevent you from reading each individual letter. Many script fonts may look beautiful but are very difficult read, especially from farther viewing distances. With our expertise and knowledge, our team can help create commercial signage that represents you and speaks to your customers. 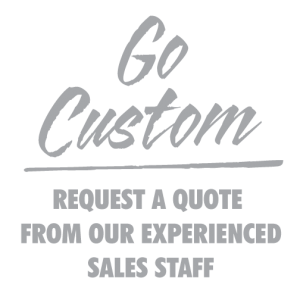 Whether you know exactly what you want or need help coming up with business sign ideas, we can help. Call us to begin your corporate signage project! We specialize in custom corporate branding solutions. Contact us today to learn more!